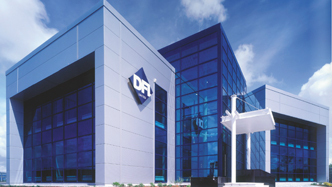 DFL Fitout & Joinery Ltd is a leading international specialist fit-out and joinery company supplying the hospitality, leisure, education, retail and healthcare sectors. Over the past 30 years we have completed numerous high profile projects across Ireland and mainland Europe. We can provide our customers with a full turn-key package encompassing all elements of design, manufacture and installation, our design service is delivered by our design partners who have worked internationally, having delivered multi award winning projects. Equally we can work with your own design team or interior architects, providing our expertise and assistance to ensure you get the best value for money through cost effective pricing with savings as a result of in-house and on-site efficiencies, technical assistance in areas of construction and materials used, and project management with the expertise to ensure projects are delivered on time and to the highest standard. We provide the craftsmanship and attention to detail required to produce the most complex of fit-out projects including metalwork and upholstery, to bespoke pieces of joinery, wall panelling and fire rated doors and screens.